Convenience is the primary purpose why users are looking for a cellular trail camera. The purpose of sending the pictures and videos from the camera to your mobile phones is smooth as a press of a thumb. Here is the list of the best cellular trail camera that will give you a guide to buying if you would love to own one. The list of this best cellular camera would provide you with doubt on what to buy, but surely anything from this list is the best. Below are the best cellular camera with their different features and description but gives you the primary purpose of having it; be able to transfer images to your mobile phones and emails. 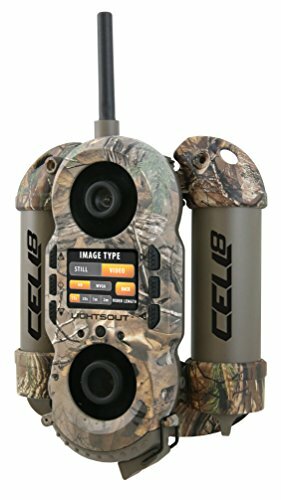 Each item has a unique feature, therefore these are all the best cellular trail camera. Equipped with 12 megapixels image resolution and 2-inch color viewer, Covert Code Black is an American Telephone and Telegraph network approved that provides a wireless connection. The 60 no-glow invisible LEDs make this cellular camera more exciting and convenient. The images captured by this camera shows the date, time, temperature, and moon phase stamp. The style looks like the other cameras on the market. Except with its long antenna that leads a very composite game of finding a spot where to install the device without hurdling the extra-long antenna. Covert Code Black AT&T leaves no vulnerabilities by the way it is built, and it can withstand severe weather that gives you a convenience in taking pictures. In durability wise, this cellular is highly recommended for any users. 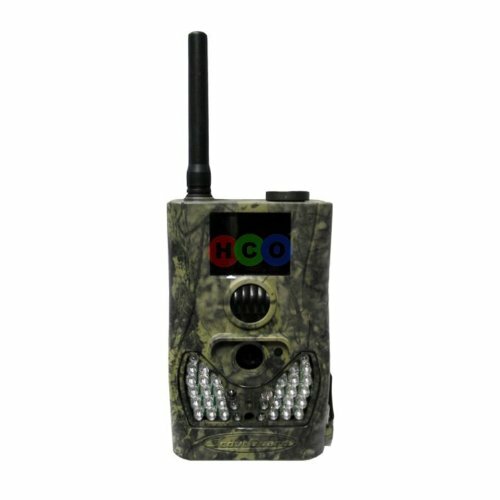 Pictures and videos, in particular, are in high definition and maintains a quality that is unparalleled to any other wireless cellular trail cameras. This camera produces images with the same quality as the videos recorded. For battery usage, this offers 12AA batteries that are very well taken care of with the power saving feature of the camera itself. The lifespan of the cells lasts for months before the user needs to change it. Covert Code Black AT&T weighs 1.1 pounds which is very important to every researcher and when considering a long antenna getting caught in a wind. This camera is highly recommended especially for intermediate and up level users because its wireless is a pain-free set-up through the AT&T. Easy to use, durable, and convenient. It is a wireless device. Can withstand any weather situations. Provides decent battery usage while maximizing battery levels. With 32GB SD memory card ability for HD photos and videos. No wiggle room for the battery grade the user needs to use. Installing additional feature in the camera like antenna may be hassle. With three available resolutions; 12MP, 8MP, and 4MP, Stealth Cam GCW Cellular Trail Camera can capture high-quality images as well as record high-definition videos. The resolution can merge 45 black IR emitters with a 100-foot range that makes it a fantastic choice for you in tracking wildlife footage with your mobile. Its wireless technology gives the users real-time updates on the spot. The stealth cam GXW can transmit images directly to the user’s mobile device which provides them with opportunities to plan for the next documentation. This camera records 1080P HD videos with H.264 compression and offers a time lapse of PIR override. It allows impatient users to view pictures on location through its 2.0″ color LCD screen. Provided with the intuitive backlit display, it would be easy for to operate the menu program system. Camera’s features like matrix advanced blur reduction, and advanced image process with a reflex trigger speed of 0.4 seconds, can intensify the quality of the images and videos. These features give first exposure while multiple awning zones of angle and distance. Stealth Cam GXW requires sim card and data plan and a free remote application for transmitting the images and videos to your mobile device. This camera is a wireless device and GSM or 3G network compatible. Other features of the camera that gives convenience to the users are testing mode, USB output, and low battery indicator. The storage space can keep 32GB of image and videos with SD memory card slot. Printed on the photos were moon phase, time, date, temperature, and name. Offers an option to send videos as well as pictures. Cellular wireless and GSM/3G network compatible. Does not offer weatherproof feature. 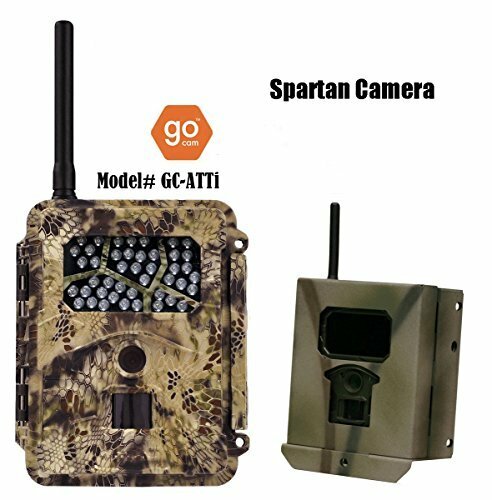 Spartan GoCam AT&T Cellular Trail Camera is a 3G wireless cellular scouting and game camera. It has 1.20 seconds trigger speed with an option of 3.5 or 8 megapixels for image resolution. The 720P high-definition or video graphics array that can produce bright and fantastic photos and videos on the spot. With 60′ night flash distance and fishing lure, it can capture pictures and record sound quality videos during daytime or nighttime. To provide you more quality outputs, Spartan GoCam AT&T also offers IR flash to take pictures without an intense flash. The kryptek camo casing to blend with the surroundings for security purposes. The live preview overwrites sound recording gives you the convenience of viewing the images and recordings on the spot. While password protection feature of the camera provides security for the camera and the owner. 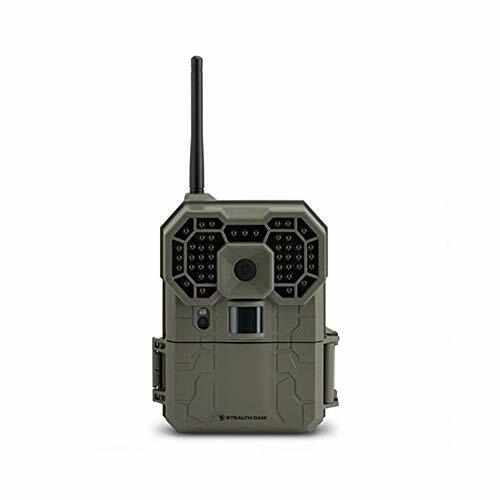 This cellular camera provides you advanced tools that you need for research, hunting, surveillance and scouting where it is essential for you to view the pictures taken not days or weeks later. The spartan GoCam is also compatible HCO GoWireless Web and mobile portal which offers an ultimate camera and photo management solution. The camera’s detection range is from 70-80 feet from the tree stand and a flash range of 50-60 feet from the area. The said cellular trail camera has the recovery speed of 62 seconds to recover after each picture is taken which is typical for every mobile trail cameras. Spartan GoCam requires a 12AA battery that lasts for months, and it weighs 1.5 pounds that gives additional convenience to the users. The camera has low resting power. Solid case design for security purposes. Durable, convenient, and an easy to use set-up. Produces good quality pictures and videos. It has only average battery life. Slow trigger and recovery speed. Providing 8 megapixels resolution and 30 seconds 720P high-definition video resolution, this wild game innovations crush cell captures solid photos and record quality videos. For a wireless camera, the trigger speed of one second and a detection range of 70 feet gives you satisfaction to each film taken. In setting up, you need an area with cell service for you to be able to transfer the images and videos to the mobile. Wild game innovations’ has four D cell batteries with external battery option and its lifespan lasts for months. Its invisible array technology feature provides you to capture and not miss any of the happenings even outside the camera’s range. The camera’s real tree extra camo front design gives security for the camera as well as for the users. As it blends well to the tree stand and is not easily recognized by camera thieves and wild animals. Wild game innovations crush cell 8 offers water-resistant and endurable weather feature. Which gives more contentment to you as they will not get worried during rainy days. With a built-in color thin film transistor viewer, you can view pictures from the camera with improved image qualities like the pictures’ contrast. It offers time-lapse and infrared flash that set intervals while recording videos slowly over time. With the storage space of 32GB SD memory card or secure digital high capacity, you can store as many picture and videos as they can. This wild game innovation also offers 60 infrared LEDs for good quality pictures and a full angle coverage. The camera is water resistant and weather endurable. With decent picture quality across the range of the camera. Has a real tree extra camo front design. There is an occasional blurry photo. Battery life may be shortened when out in the tree stand for so long. 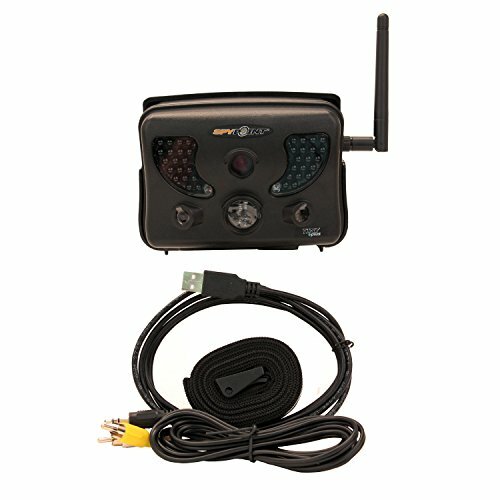 To warn you for the camera thieves, this spy point is fully configurable online to give theft alert notification to the camera owner through the application called mySPYPOINT.com. Different from other wireless cellular cameras, spy point has ports for a high-definition multimedia interface (HDMI) and universal serial bus (USB). The 10 megapixels resolution of the camera captures high-definition color pictures by day and black and white photos during nighttime. As it goes wireless, the transmission of the images and videos is through the 4G cellular photo transmission by MMS, email, or the application mySPYPOINT.com. Powered by 1080P HD video with sounds, the user can now enjoy listening sound quality of videos from 10-90 seconds. An additional feature that gives a contribution to the high-definition images is the 62 no-spook black infrared LEDs. It also has the adjustable distance detector from 5-65 feet away from the tree stand. Spy point wireless offers a time-lapse mode where the adjustable period keeps the camera active whenever you want it and a trigger time in electricity mode. The multi-shot mode of this camera can produce up to six pictures per trigger. Upon producing the images, it will have the moon phase, time, date, and temperature on each picture printed. With the built-in 2 1/2″ viewing screen with zoom and pan functions, you can enjoy the photos on the spot. This camera is powered by a rechargeable lithium-ion battery pack and requires 6AA batteries. The spy point wireless cellular camera has a 12V solar panel jack to enable the user to use it without electricity. The camera’s storage accepts 32GB SD memory card or SDHC card. Secured with theft alert notification via mySPYPOINT.com. With 12V solar panel jack, HDMI, and USB ports. The detection sensor is adjustable. With full viewing screen of 2 1/2″. Transferring of files is via 4G cellular photo transmission. It requires a sim card for cellular function. Blending the camera to the outdoor surroundings goes with the discrete camouflage exterior. To complete the outdoor use of the camera, it offers a water-resistant seal that enables it to endure lousy weather conditions. With under-one-second trigger speed, infrared flash, and 8MP image resolution, Spartan GoCam Verizon provides high-quality images with invisible illumination up to 60 crisp and clear night shots. For the video recordings, the camera is automatically set to record at 640×480, 1280×960, or 2560×1920 thumbnail resolution. Images captured by the camera are directly saved to SD memory card. It can be set to overwrite the oldest pictures on the memory card when it is full. The advanced two-way communication and control enable the user to monitor the camera in the area. It can also be reprogrammed as the user want it by accessing GoWireless web portal and mobile application. In every aspect, security matter, Spartan GoCam Verizon is a password-protected device. It has a preview live to overwrite sound recording for the user to be able to hear sounds with the recorded videos. For your convenience, Spartan GoCam Verizon offers a stand along installation that requires no wires and no external power source. The camera is powered by 4-12 alkaline, Ni-MH or lithium AA batteries depending on the settings. The motion helps determine the camera’s battery power consumption. The Spartan GoCam Verizon also offers motion-triggered or time-lapse images which can be sent through emails or MMS right after the pictures were taken. Printed on the image strip are the moon phase, temperature, time, date, and battery level. You may also use the web portal and the application to synchronize the settings of the camera. It is a password-protected device. Powered by advanced two-way communication. It does not send GPS coordinate. The unique design of Spy Point Link that looks like an alien makes it sturdy and robust to use. It is capable of handling the elements like heavy rain or snow as it is meant for outdoor use. Different from the other cellular cameras, this spy point does not have a very long antenna. Instead, it only has an inch long antenna that makes you look for a beautiful hiding spot for the camera for filming. This camera comes with a 2.4-inch viewing screen that allows the users to view images and videos on the place. And to manage the settings of the camera. Among all the cameras, Spy Point Link 4G has the fastest trigger speed of 0.07 seconds; this means that all footage in the area within the detection range will be present in the recording and you will not miss any happenings. With 12 megapixels lens, the Spy Point 4G captures high-quality, bright, and detailed photos. During nighttime shots, this camera uses 62 high power, low glow LEDs that come with blur reduction technology to secure maximum image quality. The blur reduction technology feature of the camera still works during the daytime. Equipped with a multi-shot mode, spy point 4G can produce up to 6 photos per motion detected. The time-lapse mode allows you to take images at regular, preset time intervals. It also offers 720P HD videos with audio. This camera is what every researcher needs, the passive infrared motion sensor has a range of 100 feet. 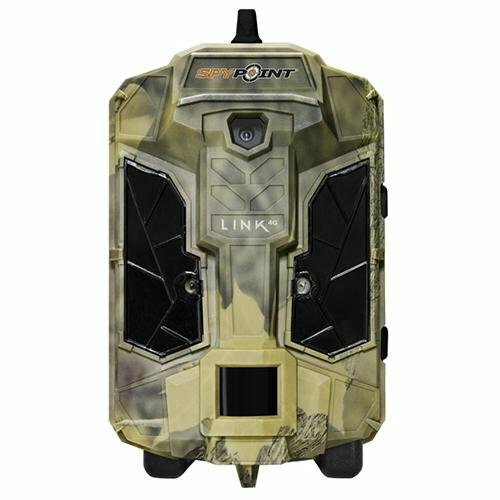 Spy point link 4G requires 6AA batteries with an option of a rechargeable battery pack. 12MP resolution provides excellent photos. Comes with a long detection range of 100 feet. With the fastest trigger speed of 0.07 seconds. Users can operate the camera quickly and conveniently with a mobile application. It is compatible with a solar panel. If the user wants a higher quality for videos, it needs to be upgraded to 1080P HD. Implementing a low-power sensor, HCO SG580M Scoutguard uses complementary metal-oxide semiconductor (CMOS) with 5 megapixels of image resolution and 640×480 of video resolution. With a trigger time of 1.5 seconds, you would not miss any footage or happenings within the detection range of 20-40 feet wide. A multi-zone of PIR lens helps to measure the infrared light from the subject of the film. The camera’s PIR sensitivity can be adjustable from low to high option. The transmission of images or files is through the cellular network; it can be in the form of messages or emails, and it can send pictures to multiple phones of emails. With a built-in color display feature of the camera, you can view the images in colored and precise manner. HCO SG580M Scoutguard also provides ultra-low standby power consumption for 80 days. Shown in the image stamp are the moon phase, temperature, date, and time. This camera offers a real-time retrieval of images while in the field for you to bring back unintentionally deleted pictures and to provide more accurate scouting information. The SD memory card storage supports up to 8GB of memory, and it allows you to use the device in areas with no cell coverage. It also has a text or calls notification through a cellular network to notify you. HCO SG580M is lockable with mounting strap and can send photos anywhere in the world. This mobile camera offers convenience to every researcher and wildlife hunter as it is handy and has a compact size. It is not only applicable to wildlife filming but is also excellent in-home surveillance security. It has a compact design, and it is durable. It is a wireless device and has a wireless remote controller. It can send images to multiple phone or emails. The SD memory card still works in the areas without cell coverage. The CMOS sensor is more susceptible to noise. It does not have a weatherproof feature. 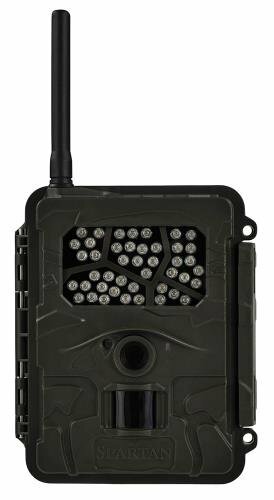 Moultrie Game Spy is armed with 4MP of resolution that produces colored pictures during daytime and infrared photos at nighttime with day and night video clips and multi-shot pictures. Provided with a weather resistant casing, you can enjoy using the camera without worrying about the substantial rain or snow that is coming. This Moultrie series is a rapid response infrared digital game camera with up to 50 feet of flash range. Shown in the easy-to-read image stamp are the date, temperature, moon phase, temperature, and camera ID. For the immediate photo capture, this cellular camera offers infrared sensor; it is easy to operate the LCD menu-driven display. Moreover, for the quick camera setup, Moultrie Game Spy Cellular Trail Camera provides infrared aim and LCD quick aim. It also has a USB cable and mounting strap. Featuring 32MB of internal memory, you can now enjoy using the camera without inserting an SD memory card for the storage slot. It operates on 6D cell batteries. It offers external power ports for optional power panel, and its system is upgradeable. For your convenience, you can now automatically upload the pictures of the camera over a wireless cellular network via the internet and send to any location worldwide. It offers easy-to-use tools that let you see where and when the game move on your land. Offers three picture resolution and two video resolution. The camera has an infrared sensor for immediate game capture. Offers a minor slot for SD memory card. 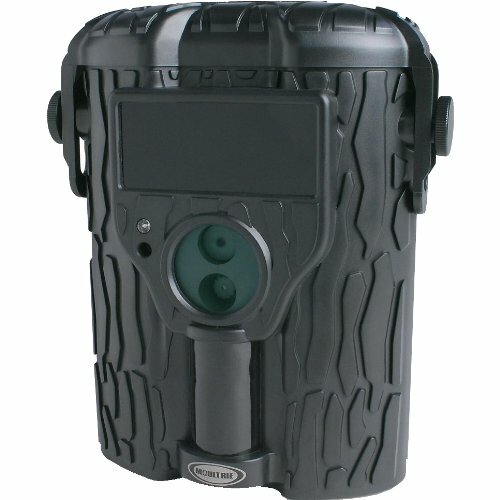 Powered by 12AAA batteries, this black out cellular trail camera offers 3.5 megapixels of image resolution and 720P high-definition or video graphic array of video resolution. Therefore, you can enjoy capturing images and recording films during daytime or nighttime with bright and excellent quality. The blackout flash feature of this camera allows you to view night shots in clearly. This spartan camera can send motion-triggered or time-lapse pictures to email and mobile phones. 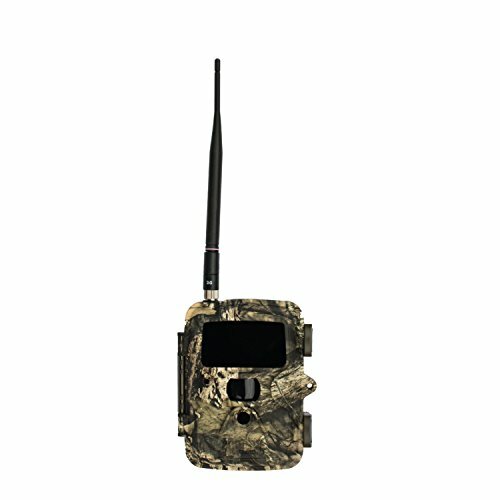 This cellular camera provides the advanced tools that you need for hunting, scouting, wildlife filming, even home security surveillance. It also offers an application where it is essential for you to see photos that are taken not later than weeks after your film. Blending well in the tree stand, the spartan AT&T black out has an external camouflage design which destructs the wild animals from noticing it. This device is compatible with HCO GoWireless web and mobile portal which is the ultimate camera and photo management solution. The live preview feature allows you to view the images taken on the spot. The sound recording will enable you to hear sounds whenever you play the videos filmed. 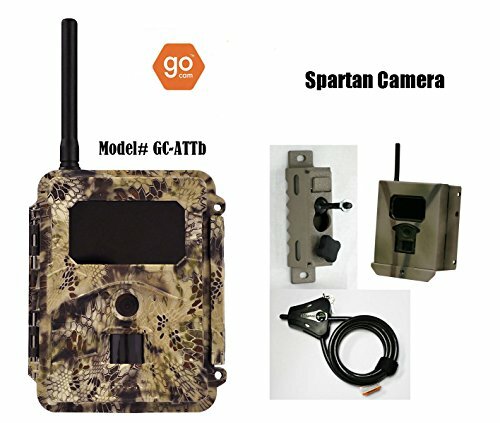 Spartan GoCam AT&T Black Out is a password-protected device that gives no-worry to you from the camera thieves if you are far away from the filming area. The camera offers sound recording feature. It is durable and easy-to-use. Has a 60′ night flash distance. Does not offer the weatherproof feature.